If you have a bad credit rating, you will know how difficult it is to borrow money. In fact, it can feel somewhat impossible. However, when an unexpected car bill arises or you have fallen ill and been unable to work, you may have no other option. So, can you borrow money with a poor credit rating? Is it ever a good idea? Read on to discover everything you need to know. Can you borrow money if you have a bad credit rating? While it is certainly more difficult for you to borrow money, it is definitely possible. The traditional channels, such as lending from the bank, will no longer be an option. However, there are bad credit solutions available today. Credit card companies such as Aqua have come onto the market to offer financial products for individuals that do not have any credit history or have a bad credit history. The catch is that the interest rates are very high, so you should only go down this road if you know you have the money available to pay off the balance every month. Of course, the other option is to ask your family or friends with they will be willing to lend you money. This is the easiest route for most people. It means that you can pay back the money comfortably and you don’t have to worry about interest rates. However, a lot of people don’t want to discuss their financial situation with people close to them, so it really is up to you. One thing you definitely should start doing is taking the necessary steps to improve your credit score. Make sure that all of the information, including your address, is up to date. Cancel any credit accounts that you don’t use and start paying off your debts. You should also avoid making numerous finance applications. This will only look bad. A lot of people attempt to secure credit by applying here, there, and everywhere, even though they know they have little chance. This is something lenders don’t like to see. Should you borrow money if you have a poor credit score? If you borrow responsibly, you can actually improve your credit score by borrowing money. By going down one of the channels mentioned above, and making regular payments, you show that you are less of a risk to lenders, and this can result in your score improving. However, it is imperative that you make the necessary repayments each month. You can make the situation much worse if you fall into a larger cycle of debt. This can easily happen if you opt for a credit card, which is why mobile phones for bad credit are a great idea. Most people pay for their mobile phone via monthly contract payments in any case, and this enables you to do exactly that. So, you will gain access to the phone you need, and you will boost your rating in the process. Unlike a credit card, you won’t be able to make additional purchases or be tempted to spend more money than is needed, which is why this is a good starting point for anyone looking to get back on the credit ladder again after being in debt. There are options available when it comes to borrowing money if you have a poor credit rating, but you really need to think carefully before going ahead and taking advantage of them. Make sure it is for the purpose of bettering your situation, not making it worse. Everyone knows that investing in anything is a risk. It is not just money that you are putting on the line when you decide to back a project. You are also spending your time and investing your attention. If it does not work, you will be financially disenfranchised as well as having nothing to show for your dedication. 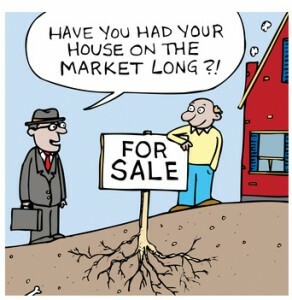 That is why when you are assessing the viability of a potential investment, you have to think carefully. The first and perhaps most important factor to think about is who you are investing with. If they try to rush you into making a decision, or you do not know them, you should be exceptionally skeptical and careful. The sad reality is that lots of people will try to con you out of your money. Unfortunately, it works quite a lot of the time. The recent Bernie Madoff Ponzi scheme case demonstrates this point. A lot of people trusted him, perhaps because the scale and grandeur of his operation suggested that it was legitimate. It seemed too good to be true and yet many people, including celebrities like Kevin Bacon, Steven Spielberg, and Larry King believed in it. He managed to scam about $20 billion from his investors, most of which those people will not get back. Being smart and ruthlessly inquisitive is, therefore, a great way to move forward when making investments. However, there are many different types of scams of which you need to be aware so that you do not lose out. Apart from a Ponzi scheme which relies on the appearance of legitimacy, there are manipulations of the stock market that can see you lose money too. 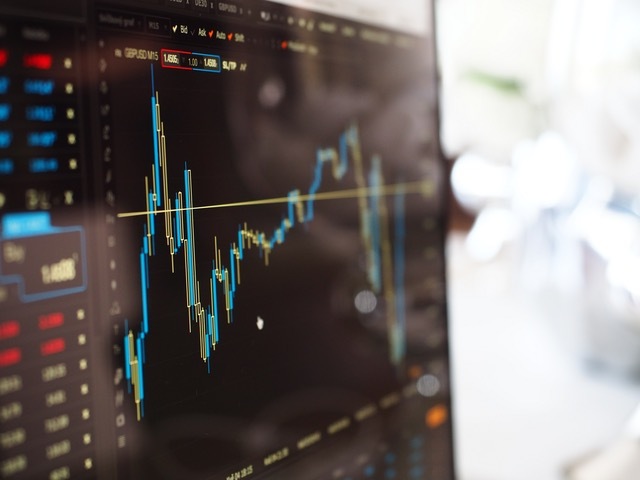 A so-called ‘pump and dump’ scheme is illegal and involves a small group of investors who invest in a company before suggesting it to lots of other people. This leads to a spike, at which point the original investors sell at a massive profit before the stock price falls again and the thousands of others are left with a bad investment. There is another similar practice that works in reverse. Investors will put their money in a company and then spread disinformation about it so that they can short the stock. Not only is this sort of behavior a rather obvious exposition of the avaricious self-interest of some people, it also demonstrates a complete disregard for the people who are working hard every day to actually make their companies successful. To be toyed with like that so that a few dishonest people can make some money is probably exceptionally frustrating. This is not to say that every investment is an illegitimate attempt to steal your money though. There are lots of great opportunities which will allow you to make money. For example, if you think about investing in buy to let student accommodation, for instance, you should carefully consider exactly where the property is and the health of the local university. If the school is intending to raise its tuition fees in the near future and this will change the demographic of students that are able to study there, it may affect what sort of tenants you will have as an investor in student properties. However, student accommodation is a pretty good investment when you consider that more young people are going to college now than ever before. It is therefore clear that there will be continued demand for student housing and that your investment will likely produce a good return because it will not be difficult to find tenants. As startling as the student debt crisis really is, the fact remains that a lot of young people will have enough money, whether from a loan or other source, to pay for housing. It is not something that they can not do without, after all. If you invest in stocks rather than something more concrete like real estate, there are particular things that you should know. Insider trading is obviously an offense for which you can be sent to prison. However, the exact legality of what information is legitimate and which is forbidden can be rather confusing at times. The Securities and Exchange Commission (SEC) is the body that is responsible for keeping the financial markets fair, and they will prosecute anyone who they think is guilty of supplying or acting on information illegally. The way in which they make this determination is by applying the Dirks test which was a response to the 1984 Dirks vs. SEC Supreme Court case. If the person in question violated their company’s trust and did so knowingly, they will have betrayed their fiduciary duty and will be considered guilty of insider trading. Being aware of these differences is important. Should you use your Credit Card or Pre-approved Personal Loans? You have a credit card that has a credit limit of Rs 1.5 lac. Now you need to make a purchase of one item that is needed for household repair. This item costs you Rs 1.3 lac. You are weighing your options when you find that your bank is offering you a pre-approved personal loan of Rs 1.5 lac. You now have two options. You can either use your credit card to make the purchase or you can take the pre-approved personal loan. What will you do? First thing to understand here is that credit card interest rates are very high. At times, these rates can be more than 40%. Pre-Approved Personal loans on other hand are variants of regular personal loans offered to low-risk customers. The perception of low risk is due to their high credit score, good repayment history and income stability. The rates for loans can be between 13 and 20%. So atleast mathematically speaking, it makes sense to go for personal loans. But there are several other advantages of Pre-Approved Loans too. Since it’s the lender that is approaching you to give a loan, you have a sort of upper hand. In many cases, its also possible to renegotiate the offered interest rates downwards. Then there is another benefit of faster processing of your application. Since the lender already considers you a good borrower and the loan is pre-approved, not much time is required for complete processing of application (it might take just a couple of days). Now if your requirement is really urgent (like money is needed today itself), then you have no option but to take the personal loan. But if you can wait for few days then going for per-approved personal loans will be a lot cheaper. It can seem impossible to save money sometimes. There is always something else to buy, pay off, see, do, and eat. It can take a lot of hard work and effort to get your spending under control to a point where you are able to put some money away for a rainy day. But it is certainly not impossible, as most of us think. The trick is to just save money without having a purpose for it. This will deter you from wanting to spend it as soon as you get a little money in your pocket. Save it for at least a year, and then decide what to do with it. You’ll think harder about what to spend it on because you’ll know the value of how long it took you to save that money. 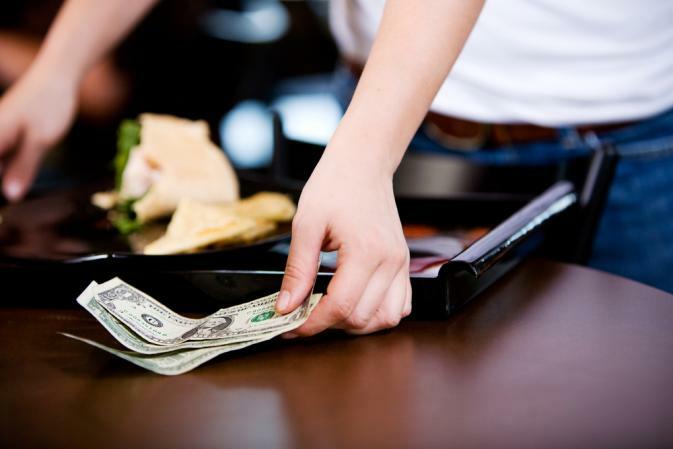 Here are six ways to help you save a little cash on the side. 1. Start recycling. If your city or town offers refundable bottle programs, gather up all of your extra soda cans and bottles and return them for a refund. It’s not a lot of money, but if you do this once a month, it can really add up. 2. Sell some stuff. We’ve all got stuff we can sell. And once you start, you’ll be energized by decluttering and you’ll want to sell more stuff. It doesn’t have to be anything of great value, just something you no longer need that others may want. 3. Get a very, very part-time job. Don’t work much more than you already are: an extra 3-5 hours a week can add up to over $100 in some cases. Imagine what you could do with an extra $5000 this year? Pour coffee, clean houses, do something to bring a few extra dollars. 4. Rent a room in your home. If you are looking for an instant income boost, consider renting a room, or boarding as it is called in some places. You can ask for $100 - $200 a week depending on what kind of space you are offering. This adds up fast. Put all that extra money away for a rainy day. 5. Carpool to work. You are going that way anyway. Offer to charge a small gas stipend to 2-3 people and pick them up and drive them home. Again, you are going that way so it’s not actually costing you any extra money to take people along for the ride. But you can pocket that gas money for later. 6. Have a regular flea market table. While it will cost you a few dollars a week to have a table at a flea market, one good sale can pay for the table and more. This is a little more instant than trying to sell things online, and can pay off big if you have good stuff people want. Kitchen wares always sell well at flea markets. 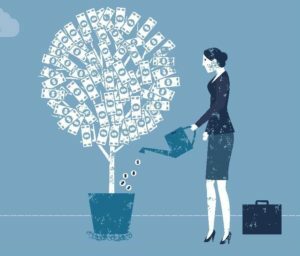 If you find yourself in a cash crunch and you aren’t able to put money away for a rainy day, it may be time to consider the help of a company like this firm. 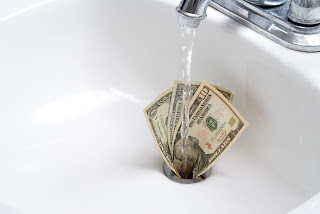 Consumer debt solutions can really help to open up your cash flow. You might need to clean up your finances before you can start saving some extra cash, but start right now anyway. A little goes a long way over time. 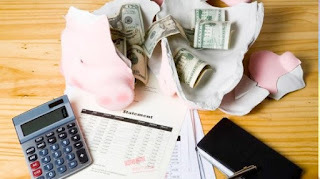 Many people don’t like to think too far down the line when it comes to finances, as life can often throw unexpected, challenging, and sometimes, costly situations at them at any time. However, making long-term financial plans, even if they don’t go as seamlessly as expected, can bring you security and a fruitful future. 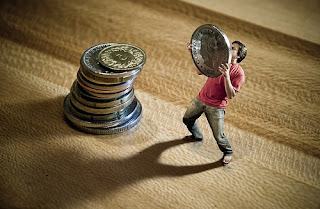 It’s worth bearing in mind some of the things that can affect your money in the long run, and doing your best to protect your hard earned income. If you’re earning enough income to pay your mortgage and bills on time; well done, that is great news. However, are you earning enough to save your extra cash regularly, or are you just scraping by after pay day? You need to think about if your large real estate investment is working towards your financial security in the long run. If your home is draining you financially, rather than ensuring long-term security and profit, it’s worth considering in downsizing or changing location. A big house isn’t worth monthly worries and added stress; it should be alleviating those things. When it comes to your household’s car, you also need to carefully consider the cost of maintenance and fuel each month. If you feel you’ve chosen a vehicle that has worked out far too expensive each month; it’s time to swallow your pride and change it. You don’t have to see changing the car you drive as a downgrade either; it’s simply a way of adding cash to your savings, and will help to ensure a favorable financial situation in the long run (in other words; it’s a smart choice). The location you live in now might be perfect for your career, family, and income; however, it’s worth thinking about where you see yourself in the future. Ask yourself if you're living in your “forever home” now, or if you see yourself somewhere totally different when you reach retirement. Even though retiring seems like years away, it’s worth making a plan, and considering how you’d be able to end up where you wanted to be in your later stages of life, whether that’s in another state, country, or perhaps you’d love to spend retirement traveling the world. It’s worth putting money aside and planning a route that you and your partner wish to take together, so every financial move you make is part of the bigger picture. 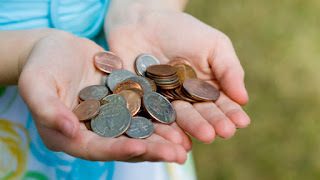 If you’re completely at a loss as to where to start, why not visit BrettPittsenbargar.com for some expert help and advice on how to begin your savings journey. Just like you set yourself house, car and location goals for your current situation; it’s essential that you plan towards your future goals now, to ensure that they materialize. Write down and record all the places you want to travel to, where you want to live, and any important purchase or occasions you plan to pay for and collate them on a timeline of your life. You’re unlikely to hit every goal at the exact time you think you will; however, if you have those big aims in mind throughout your life, it will help to plan your finances accordingly, every step of the way. Check out the BankOfAmerica.com for some ideas to set and achieve financial goals. When it comes to paying for a home, there’s no room for error. A mortgage is a costly investment that could take decades for you to pay off, so you never want to go into buying a home blind and end up investing into a property that you don’t actually like. What’s more, there’s a time to buy a home and save up for a deposit, but for many people, they don’t actually know when that time is. It’s not uncommon to hear stories of people who think they’ve found the perfect partner, take out a mortgage to start a new life together and hopefully raise a family, only to be disappointed and left with an empty house when their partner leaves them. It’s not a very nice situation to think about, but it’s something that has to be considered before you invest in a home for both financial and family reasons. To help you make that daunting decision, we’ve created a comprehensive guide on the perfect time to buy a home and how to pick the right property for you and your family. When’s the right time to buy? Most people decide to buy a home at some point during their adult lives, but the question is “when”. First, think of the reason for you wanting to move. Perhaps you want to start a family with your partner, maybe you want to move to further your career choices, or perhaps you simply want to get away from family or make new friends because your old ones have all moved on. There are plenty of reasons for moving, but the important thing is to find your own reason for wanting to get a new house. If your reason for moving is due to your career, then try to plan ahead and schedule your move for when you get your new job. The last thing you want is to end up travelling several hours a day to your new workplace from your old home, so try and leave your old job a week or two before your new one starts and finalise the moving process. The travel costs involved could be ridiculously expensive if you have to travel an extreme distance just to get to work, and it’s always a good idea to give yourself a week or two off work just to settle into your new location. Next, you need to think about financial stability. One of the most important things to think about when getting a mortgage is your credit history. If you haven’t already, do a credit history check to ensure you’re eligible for a mortgage or even to lend money. If you aren’t or if you plan to buy a home later in the future, then work towards building up your credit rating so that you can safely lend money for a house in the future. The best way to prevent your credit rating from plummeting is to pay off any existing debts as fast as possible and always pay your bills on time. Anything that’s delayed will negatively affect your rating and long-standing debts will cause your credit history to show undesirable qualities that banks are wary of. Close any unwanted credit cards and store cards, and make sure you’re cutting down on any subscription services you don’t actually need. You also need to worry about your job. If you aren’t financially stable with a well-paying and secure job, then you don’t want to invest in a mortgage. In fact, if you’re currently working part-time or operate a business that’s not doing too well, lenders will actually turn you down. Ensure that you have a stable job that pays well enough so that you can pay off the entire mortgage. No one wants to be behind on mortgage payments without a job to back them up, so take care and ensure you can pay both the initial deposit and the cost of the home. The location of your home is going to greatly depend on your reason for moving. For instance, if you’re moving because of a job, then the ideal location would be somewhere close to your new workplace. If you’re moving because you want to start a family in the future, then you might want to look for a property near a prestigious school or a college that will pave the way for your child’s future. Deciding the location can be difficult because there are just so many places to choose from. If you’re stumped for ideas, then look up a house for sale and you might find a lot of inspiration to work with. Don’t neglect the importance of gathering some ideas if you’re unsure where you want to travel to! You also want to pick a location based on local amenities and the community. There are some locations that will blow you away because they’re in tranquil neighbourhoods with friendly communities, but they might be too far away from local amenities and you might find it difficult to cope if you’re used to living in the city. On the contrary, if you want to get away from the busy city life and move to the countryside, then your dream home could be a rural cottage that’s away from the noise and air pollution. Remember that, in most cases, homes closer towards the city are generally more expensive because it’s more convenient. Living on the outskirts of a city is generally cheaper, and living in a rural location is always cheaper. However, keep in mind that there are travel costs associated with getting around if you live further away from local amenities. 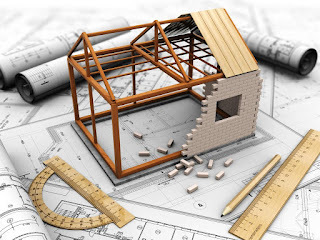 The size of your home is going to dictate what its purpose is. If you’re moving because you want to start a new career, then you probably don’t need anything more than a studio or single bedroom apartment. If you plan to start a family, then you’ll want several bedrooms, a backyard for your kids to play in and potentially a garage to store your family vehicle. The important thing to remember when deciding on the size of your home is to consider the future. Once your children grow older, they’re going to want their own rooms and they might even need a study room to do their homework. You also want to invest in guest rooms if you plan to have visitors such as family and friends, and you mustn’t neglect your plans for when your children move out. Some people actually plan for their children to live with them forever and eventually pass the home down to them, but you can’t forget about the possibility that your children want to move away in the future to build a new life on their own. In that case, you’ll want to have a purpose in mind for empty bedrooms, such as converting them into hobby rooms or simply selling the home in the future to get a smaller one. First of all, ignore any advertisements or marketing comments that relate to the square footage of the home. What you want to focus on is the amount of comfort that the home offers and not the perceived space it offers. You want to have a vision for the home, such as where you’ll place furniture, where you’ll host parties and so on. If the garden is a major concern for you, then make sure you’re picking a home with a backyard that’s large enough for your plans. When possible, take a look at the floor plan and envision where you plan to place all of your furniture and how you plan to organise large appliances. Things such as the decor and paint can be changed later on, but structural things such as the size of a bedroom are difficult to modify without calling in a contractor and essentially breaking down some walls to make space. Instead of adding on additional costs in the future, it’s better to pay up front for a house that fits your vision instead of a property that needs to be modified in the future with expensive renovations. Lastly, learn to be a little patient when picking a home. You’re not going to find a perfect home no matter how hard you try, but it’s also not a good idea to make too many compromises. Instead of picking from what’s available on the market now, wait and save up more money so you can invest in a bigger deposit for a larger or better home. If you feel like the time is right to purchase a home but there’s still no properties available on the market that you’re personally interested in, then don’t cave in. Wait a little longer, keep searching, and be patient for new houses to appear on the market before you take the dive. Remember that your house is a long-term investment that can be very costly, so ensure you’re buying something you can stick with for at least a decade. In days gone by, there was little choice in how you would sell your home. You would choose a real estate agency in your local community, and let them get to work in finding a buyer. In these modern times, however, there are a lot of other different options to consider. With this in mind, here are the various methods you can find - some of which you might not realize exists. There are plenty of advantages of using a real estate agent, which is why so many people still go down this route. There are fees to consider, of course, but when you use a realtor, there are plenty of things that come with the overall package. You get a lot of experience, for a start and you will also find that the marketing a realtor uses can expose your property to many more potential buyers. It’s also nice to know that you have someone on your side - when you sell a home, a realtor is obliged to work for you and in your interests, and a good real estate professional will fight your corner when it comes to tough negotiations. You can, of course, sell your home without having to pay anything to an estate agent. But make no mistake about it, there is a lot of work to do, so this options probably isn’t best suited for people who have busy lives. You will need to do all the legal legwork, which is going to cost you money anyway, and there are also a few issues with your experience. If you have never sold a home privately before, potential buyers could take advantage. For example, a cash buyer might make an acceptable bid, but lower it at the last minute. However, if you want to save on extortionate fees and charges, selling privately is definitely worth considering. When you put up your home for an auction sale, it’s clear to everyone that you mean business. And the tactic is becoming increasingly popular because many people walk away with selling their home for a higher price than they would have on the open market. However, you have to bear in mind that the reverse could happen, too, and you end up selling your home for less than its value. The rise of the online real estate service has been phenomenal in recent years. It’s a much cheaper process than using a standard realtor, but there are a few things to consider. First of all, you may not be able to sell quickly if you need to, and although it might generate a lot of interest, you won’t get much help sealing the deal. Ultimately, however, it’s convenient and cost-effective tactic that, if you are prepared to play the waiting game, can pay off. OK, so which of these options will you use when it comes to selling your home? Whichever you choose, always make sure that you understand the pros and cons of each method, and measure it up against all of the alternatives. Buying a house is one of those memorable moments in your life, firstly because it's beginning a new chapter, and secondly because it was quite possibly one of the most stressful times in your life. There's a lot to think about; it's not just an easy decision of what house you think looks the best. Not only does it have to fulfil all your needs, but it will also cost you a lot of money, and this is where the stress comes in. - But there are many easy ways you can save up money to go towards buying your dream house. Here are some ideas for you. Making a budget plays a big part in shopping for a house, so if you don't make one, how are you going to know what you can and can't afford? This isn't a little sum you can do in your head; you need to plan properly so you can see it in front of your eyes. Calculate how much money you need in order to not only get the house you want, but to afford everything that comes with it every month. Then have a look at what you have in your account. Start saving up. Sounds obvious, but it isn't as simple as you'd imagine, especially when you've got other mouths to feed as well as your own. If you haven't already got a savings account, it would be a good idea to open one, and whenever you get money coming in, try and take out a certain percentage and put it into the account. Over time you will start to see it all adding up. Cut down on things you don't need and prioritise on what you do. You will most likely need to take out a loan if you are buying a house because they will be asking you for a big sum of money all at once. You can only get a loan if you have a good credit score though, as this is what shows you can manage money well and you will be able to pay it back. If you don't have good credit, there's a lot of help out there that you can get to change this. Companies like sky blue credit review your credit report and take you through all the ways of improving it. Don't forget to look at the interest rates when looking at loans too, as they all vary, and ideally the cheaper they ask you for - the better. Now you have the most effective ways of saving up for a new house, put them into action, starting today. Remember that these things take time, they don't just happen overnight. So you will need to be patient, try not to rush things otherwise you may end up making a poor decision and get yourself worked up when there's no need. Once you have the money side of things sorted, you can then focus on making your dream house a reality. When Our Parents Grow Older: What Housing Options Are Available? Our parents care for us as children, but once we've grown up the roles eventually reverse. It's bittersweet how we're the ones to look after and care for them through the winter of their lives. As some of the most precious people in our lives, we of course want to do everything we can to make sure our parents are kept happy, safe and get the right care. Here are a few of the options to consider for your elderly parents, so you can decide which suits your situation best. Many people will feel more comfortable staying at home. Surrounded by their own things, in a familiar environment, it makes sense why they would be reluctant to leave. If their health issues are minimal and they can get by fine ok on their own, then it might make sense to stay where they are. If they need help with cleaning, cooking, paying bills or other tasks, you might be able to help them or hire a company to come out to them. Maids, nurses, meal services and much more can be very helpful and allow your loved one to keep their own home. If your loved one lives a fair distance away and they need your help, it might make more sense for them to come and live with you. If you have a spare room in your home to set up for them, it could allow you to monitor them and act fast if any emergencies occur. This is useful if they have a condition that occasionally flares up or are at risk of things like strokes or heart attacks. It probably makes sense from a financial point of view too, running a large home just for them along with paying all of their bills can be expensive. If their current home isn't suitable anymore but still want to live alone, adapted housing or a retirement village like John Knox Village East could be the right choice. It means they can keep their independence and socialize with others in their age group, but there are staff nearby who are able to quickly contact the emergency services if anything were to happen. Have you ever been in this situation? Which option did you choose and why? 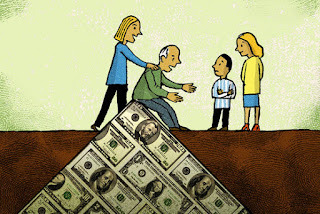 What Are Your Options With Inheritance Money? Nobody wants to get the call that their relative has suddenly passed away. If you’re fortunate enough to receive a large sum of inheritance money it’s important to not let it go to your head and lose all sense of control over your critical faculties. Depending on how much you have inherited your financial circumstances and options might be incredibly diverse. I might make foreseeable sense to invest the money into a hard asset such as real estate, you may want to buy long yield bonds or you may want to pay off a mortgage, loan or repay get out of a black hole and rid yourself of any debts. A financial advisor is recommended to help you carefully plan and assess your financial picture and any plans you may have. If you’re burdened with credit card and or personal loan debts, it’s generally better you use some of the inheritance to get these gremlins off your back. 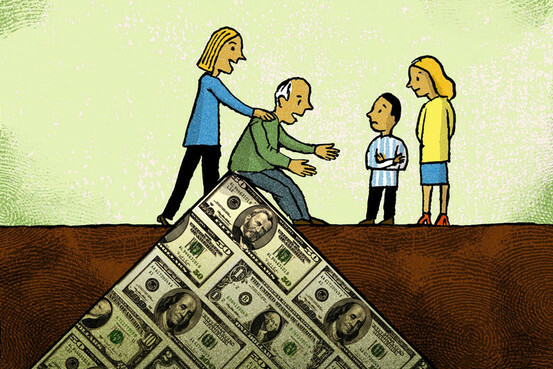 The interest that you pay will more the likely, always be higher than the amount of interest you earn if you were to put your inheritance into a savings account. Once you have paid off debts, you’re out of the woods and your path is now clear. Now is the opportunity, if you wish, to save up for an emergency or look at further options. Being prepared for a financial emergency is one of the best decisions you’ll ever make in your adult life. A top priority for someone wanting to achieve this would be to set up an emergency account purely for cash reserves. The typical reason would be to limit any damage losing your job, global economic downturn, or loss of property like a vehicles getting totaled, would do to you. You never know when a physical injury may befall you or a loved one and not having, so this account type would be the catching net that could save you from dipping into a savings account. Hard assets are a great way to not only to beat out inflation rises which will diminish the worth of the inheritance, but will also amplify the inheritance tax effect. Luxury real estate on the market like like the Cheval Homes for Sale, annually increase in value due to appreciation. If the property is ideally located, a wealthy buyer won’t hesitate to pay a large price for the property no matter what shape the economy is in. 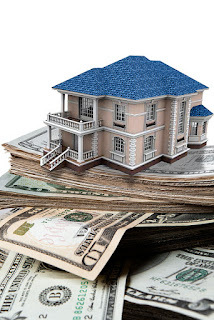 However, the best option would be to lease the property as therefore you have a constant cash flow stream. The term, ‘let your money, make money’ comes to mind with this route. You could take this once in a lifetime opportunity, to secure your old age. A retirement savings account would give you the safety net you need, if you haven’t been sufficiently contributing to a 401(k) or individual retirement account. A savings account would indeed, shelter the large lump sum from taxes and allow you to earn tax-free returns. As banks know a savings account will be left alone during the period in your life that you’re working, they reward you with generally good interest rates. A lot of people make investments during their lifetime. After all, it’s a great way to raise your funds to ensure you have a comfortable future. And it’s a lot more successful than just having money sitting around in the bank. Of course, there are risks with any investment, so you need to make sure you do your research before to protect your investments. But if you do it right, you could enjoy significant returns in the future. However, a lot of people don’t know how to fund investments. Therefore, here are some easy ways to fund those investments. It’s common for people to have one savings account. After all, it’s a great place to keep spare funds. And rather than keeping it in your current account where you are likely to spend it, you can move money over every month. And then watch the money rise as the interest kicks in. But it’s worth considering using your savings for investments. After all, it’s likely if you make a substantial investment like a property, the price will rise over time. And then you can reap the rewards in the future when you come to sell the house. The money you will make on the property is likely to be a lot more than the interest rate on your savings account. Just make sure you leave some funds behind in your savings to use for emergencies. After all, if you lose your job, you can use some of those funds until you are back on the straight and narrow. You might not have any spare funds in your account at the moment. After all, with the rising cost of household bills, it can leave us feeling the pinch. However, the sooner you invest, the quicker you will raise funds for your future. And you don’t want to miss out on a great opportunity to invest in a good business or property. Therefore, you might want to consider getting a personal loan. It can help ease you into investments to ensure you can fund it ASAP. And then you can just pay back the loan over time. You need to be careful choosing the right personal loan. After all, you don’t want one with a big interest rate which will cripple your finances. Therefore, compare and research before getting the sum for your investments! It’s likely the price of your property has risen during the time you have owned the home. After all, house prices are rising so you might have made money on the house already. And you are paying your mortgage off every month so you will be building your equity. Therefore, if you are looking for ways to fund an investment, it’s a good idea to consider remortgaging your property. You can then take some of the equity you have earned to put towards the investment. And then you can just pay a larger mortgage every month while you make money from your investment. 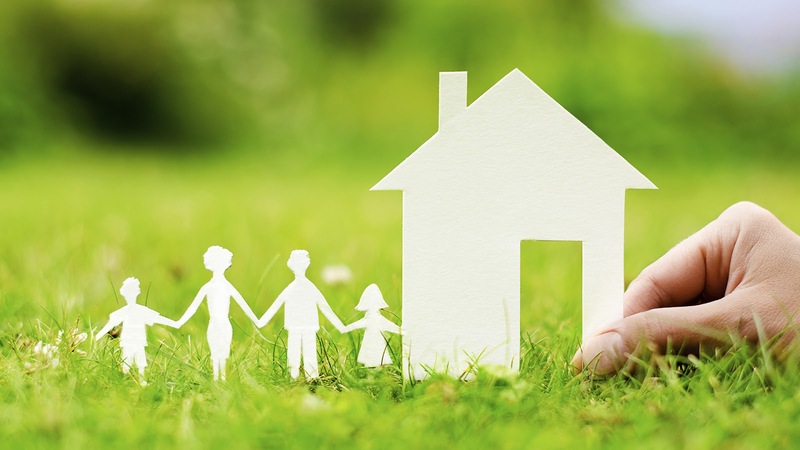 Talk to your mortgage provider about the possibility of remortgaging your home. And don’t be afraid to borrow money off your loved ones for the investment. As long as it’s a solid investment, they might be willing to stump up the cash. And then you can just pay them back in the future. Whether you are looking to sell your home anytime soon or you simply want to make sure it fetches its maximum value, there is plenty that you can be doing throughout your ownership to make sure you are making the most of your property. Solutions can range from the more costly like an attic or basement conversion to simple cosmetic solutions. Home ownership should always be a work in progress, so here are a few jobs that you can complete to make sure that you are always adding value. There is bound to be a range of jobs that you can be completing throughout your ownership of your home. Some of these should be higher up on your priority list than others. For example, fixing leaks in the roof, structural cracks, dry rot, broken or missing roof tiles and sorting out chimney issues should be a priority. When it comes to the more simple ‘facelift’ solutions, you should attend to any peeling or discoloured paint, squeaking doors, damaged windows and dripping taps. The best thing about these types of jobs is that they can be undertaken by anyone and they can really make all the difference. If you are planning on selling your home anytime soon, boosting its curb appeal is extremely important. Firms like reo real estate can take the work out of your hands, though there is still plenty that you can do yourself. Start by painting the front door and finishing off the job with a shiny new house number. Replace any tiles that have become cracked and damaged. Next, move on to selecting some plants which give your house a nice, natural feel. If you are really looking to push the boat out, you can go for an entirely new colour for your home. If you have any outdoor space out at the back of your house, it makes sense that you should be looking to improve this wherever possible. Starting off with a well-designed deck gives your garden a focal point where guests can come to sit and unwind. Even if you don’t want to have a complete garden makeover, you can still cover off all the basics like clearing away any dead plants and weeds, repairing the lawn, hacking back any trees that have become overgrown and adding colour with some simple flowers. If there is one room of the house where it pays to make sure it looks as good as it can, it is certainly the kitchen. Simple solutions include repairing cupboard doors and replacing the handles. If you are planning on living in your home for a long period of time, it is still worth concentrating your attention on the kitchen as this is often an epicentre of the home. Afterwards, it is worth moving on to the bathroom as it doesn’t require too much investment to replace the lighting, tiles and some of the fittings. Money can be the cause of worry for a lot of people at the best of times. Unless you happen to be in an incredibly fortunate position, it's unlikely that you'll ever feel completely free from any kind of financial anxiety. However, when something truly disastrous happens, that can be made so much worse. Whether you've lost your job, been in some kind of accident, or are having to deal with some form of household disaster, dealing with a serious emergency can be a dangerous drain on your finances. Luckily, if you do find yourself in that position, there are always things that you can do in order to avoid falling into some serious financial difficulty. Here are three simple ways that you can stop an emergency taking its toll on your personal finances. It can be terrifying and confusing to find yourself in this kind of position, because of this it's a good idea to think carefully about what kind of help and support you're going to need. Sometimes it's enough to reach out to friends and family, but if you're in dire straits, then you may need to hire a bankruptcy attorney. Having the advice of a professional with a great deal of experience can make the entire experience of potential bankruptcy far less frightening. You can figure out the best ways to deal with your current circumstance as well as the best possible methods for getting back into a more financially stable and secure position. A lot of the time, the real issue that a lot of people have when it comes to a sudden financial disaster is the fact that it's impossible for them to pay such a large sum of money all at once. They may well be in a position to pay it off, but it would take a long time to do so. That's when taking out a loan can be incredibly helpful. That way you can use the loan to pay everything off all at once, but you only have to worry about making a series of manageable payments. The most common reason that any form of personal disaster leaves people struggling on a financial level is that they often don't have any kind of backup in place to help them deal with it. This is because it's rare that people actually consider the reality of something going seriously wrong in their lives. But if you want to avoid suddenly ending in up in financial trouble then the best thing to do is to be prepared. 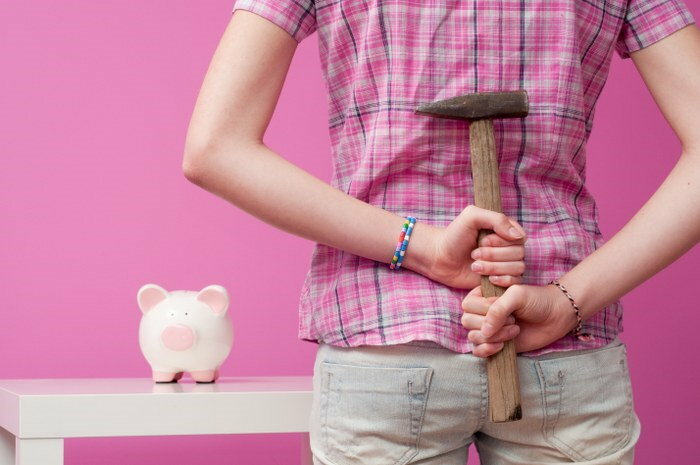 Even when your finances look completely safe, start putting away some money in a secure savings account. That way you'll have a safety net to fall back on in the event that something happens that could potentially drain your finances. Sure, it's frustrating to watch the balance of your savings drop all of a sudden, but it's better to go through that than to find yourself suddenly unable to pay bills or to buy food. There’s a high percentage of people in the western world living with crippling debt that’s like a weight permanently on their shoulders. When in this position, most people’s initial reaction is to deny the problem exists and hope it goes away on its own. Unfortunately, without a gigantic stroke of luck, it never will just leave you. It’s time for you to start controlling your future, putting your financial mistakes behind you. It’s all too easy for people to start beating themselves up when they realize they’ve made a mistake with their finances. But it happens to most people, to varying degrees, and at some point during their life. If you own up and accept that you’ve made mistakes, then you’ll be taking the first step toward recovery. The best time to have started taking care of your debt would have the been the first second you realize it was out of control; the second-best time is right now. It’s tempting to shy away from opening bills when you know the numbers that you see will make you want to burst into tears, but it’s an essential part of the process. Once you know how much debt you have, you can begin to get rid of it. There are more resources to help you become financially sound than you might realize, so no matter how bad it is, don’t panic. 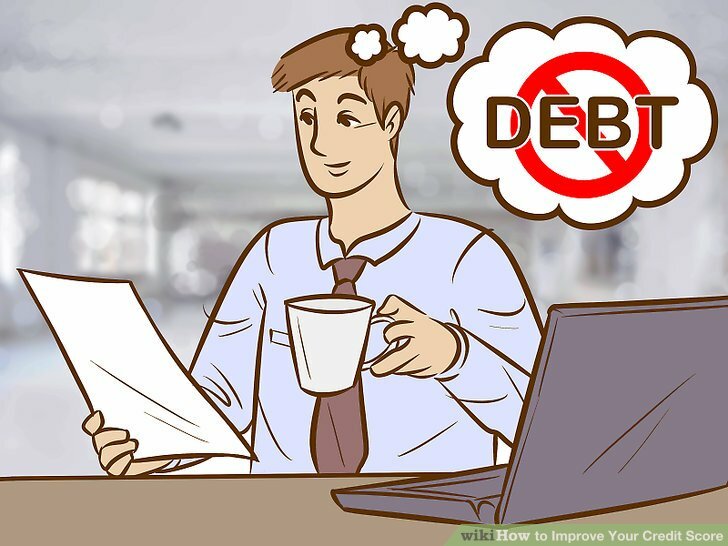 Sites like www.DebtConsolidationLoans.com can help you get out debt without bankruptcy. Even if it feels like you’re drowning in debt, there’s always a way out. Later on down the line, you’ll acknowledge the action you took as one of the best decisions you’ve ever made. Of course, it won’t be very good if you’re trying to shift your debt while still doing the same things that got you into debt in the first places. Taking action to improve your financial situation is like getting a new lease of life, so make sure your new life is financially sensible! There are many easy practices you can adopt that’ll save you money and stop you from falling into the same problems as last time; take a look at http://www.rd.com/advice/saving-money/money-saving-tips/ for examples. 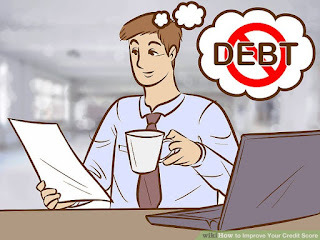 Some people think that having a sizeable chunk of debt at one point in their life stops them doing things that require financial backing, but that’s not the case. If you have ambitions of one day owning a home or starting your own business, then continue with those ambitions. 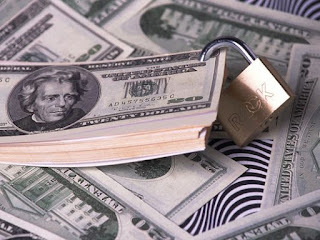 Part of the process of being financially sound is no longer feeling tied by your past mistakes. There’s a lot of guilt and shame that goes on in people who know they’ve made mistakes with their money. Every day is an opportunity to learn and grow as a person, however, and really, most everything in life should be forgiven so long as you’ve learned the lessons of your actions. The quest for financial security is not an easy path to walk, but by the time you’ve reached the end of the road, you’ll be a better person. 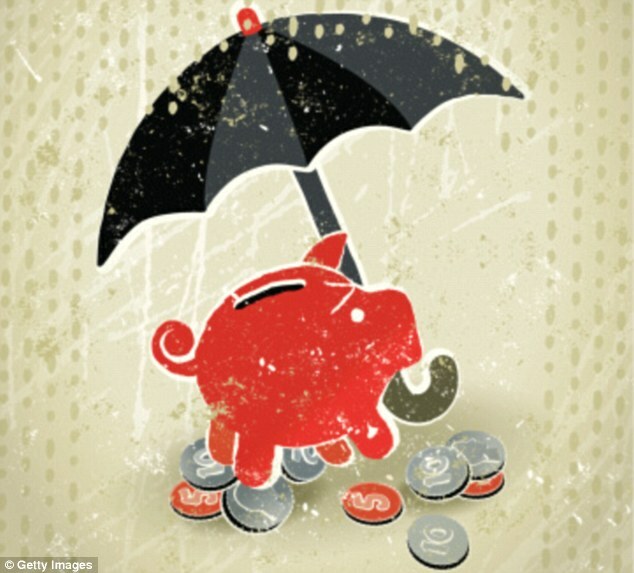 Are You Putting Your Finances At Risk? Given the choice, the vast majority of people would never dream of doing anything to put themselves in any kind of financial jeopardy. After all, people spend such a large amount of their time worrying about their finances that the very last thing they want is to increase their levels of fear and anxiety by getting into any kind of serious trouble. However, just because you would never do this on purpose doesn't mean that it's not something that can happen by accident. 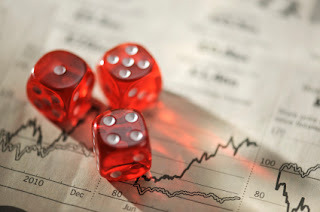 There are plenty of occasions where people are getting themselves into some pretty risky financial situations, not intentionally, but through carelessness or sheer bad luck. Here are a few things that you should be looking out for in order to make sure that you're not putting your finances at risk. One of the best things about the modern era is that it's now possible for pretty much all bills to be handled through things like direct debits. This means that it's now very possible to have all of your regular bills paid automatically so that you never really have to think about them. The problem with this is that it then becomes incredibly easy to go for long periods of time without looking at the state of your bank balance. This is one of the most common ways that people end up in financial trouble without even realizing it. Make sure, even if the majority of your payments are happening automatically, that you're always paying close attention to the state of your bank balance. That way you can make any necessary decisions about your spending and whether or not you can reasonably afford the bills that you're paying every month. It can be incredibly tempting to use loans or lines of credit in order to pull yourself out of a financial pit or to pay for an emergency purchase. And, in truth, it can be very useful, as long as you're smart about it. However, there are plenty of companies out there which are more than happy to take advantage of someone in a bad financial situation for the sake of profit. If you're planning on taking out any kind of loan, then make sure that it's accredited and that you're not going to end up paying ludicrous interest rates. When it comes to credit cards, you can use sites like validate credit card to make sure that any cards that you're using a secure and valid card to make any payments. These kinds of risks might be minimal, but the consequences of not being careful can be so catastrophic that they are risks simply not worth taking. It's both unsurprising and rather fortunate that this is the main reason that so many people end up in financial difficulty. When it comes down it, a lot of people simply don't know how much they're spending on a day-to-day basis. It might seem like a little bit of money here, and there isn't going to do much, but that money adds up, and a lot quicker than you think it's going to. Make sure that, along with monitoring your bills, you're always paying very close attention to how much extra money you're spending on a week by week basis. That way you can be sure that you're won't accidentally tip yourself into the red. Finances are a troubling concern for the majority of people in the world. This is because our finances determine our livelihood (most of the time) and can seriously affect our future. As a result, a lot of people are now building towards a financially stable future where they don’t have to worry about money. With a combination of outside help, smart saving and even some investments, it’s possible to live comfortably in the future without having to worry about being in debt. The first major hurdle to overcome is living frugally. Unless you have an incredible amount of savings or income to work with, then you’re most likely saving money, trying to cut down on unnecessary expenses and stretching pennies. This is the proper way to go about obtaining a financially secure future. You need to be able to get by without all the luxuries and you need to understand how to save money on necessary purchases. Keep in mind that there’s a difference between being cheap and being frugal and you always want to lean on the side of being frugal as opposed to cheap. Debt is one of the scariest things that could affect our financial freedom. Eliminating debt is important for a variety of reasons, but the main focus is to ensure you don’t owe anyone money. Plenty of people in their senior years are still paying off old mortgages for their house, and that’s a situation that doesn’t seem to be getting any better. Unless you want to be making payments for things that you bought decades ago, clear your debt as soon as you can. Clearing debt is also a fantastic way to build a credit rating. Assuming you make payments on time, your credit rating will continue to increase and this makes it easier for you to get a mortgage in the future to buy a house. It also helps with future loans for emergencies, and it’s much better than having a low credit rating and desperately trying to climb out of that pit. Saving your money is important for many reasons. 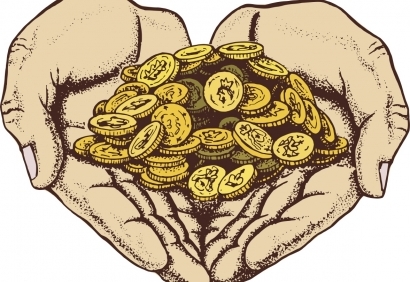 Firstly, it’s great to build up an emergency fund for you to use in drastic situations. For instance, if your car breaks down, then you’re going to need some funds to help you repair it in order to get to work, ferry your family around and so on. By using a finance advisor, you could also make better use of your savings by investing them back into the economy. This means you beat the possibility of inflation and it means your wealth continues to grow. 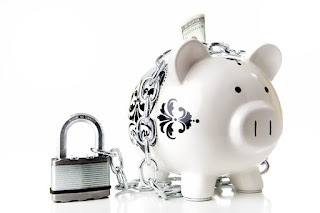 Money sitting in a bank is pretty much useless because it’s not going to any use, which is why many people turn to wealth advisors in order to get the most from their money. Those were just a few tips on how you can secure a financially stable future, but they aren’t the only ways. It all comes down to honest saving and spending of money and living within your means. When it is time to move home, there can be many considerations to take on board. No matter how many times you might have been through this particular situation before, you should make every effort to try and make the most of it. To be able to do that, of course, you should know what it is that you really want to get out of the situation above all. There might be many things that you are looking for, but arguably one of the most important is always going to be the financial side of the process. In all likelihood, you want to be sure that you will come out the other side in a strong financial position. Let’s have a look at some of the things you can do to keep your finances strong during such a time. People often make the assumption that they need to live in a certain area, but of course there is no reason to think that this is so. No matter where you currently reside, there is nothing stopping you from moving far afield. You might not want to do that, but it is useful to remember, given that you could end up saving a lot of money by doing so. It is worth bearing in mind that you have the freedom to choose your location. Many locations will be considerably cheaper than what you are used to, and that is one of the biggest ways to keep the spending down throughout the whole process. Although you might not have thought it, properties are often subject to special deals, just as with anything else that you might purchase. Of course, they can be fewer and far between, which is why it is a good idea to take advantage of this kind of situation when it does arise. Part of the issue here will be having to wait for such offers to occur, but as long as you are happy doing that you should find that it makes a huge difference to your finances. It might be apartment move in specials that you have found online, or an estate agent in your local area slashing the costs of local houses. Either way, it’s worth looking into when it does crop up. When it comes to actually moving home, that is a day which can itself be surprisingly expensive to carry out. However, there are some ways of ensuring that you keep the costs of removal down too. One of the best is to ensure that you move locally, or at least not somewhere that is too far away. It depends on what properties you find as to whether this is viable, of course, but either way it is worth bearing in mind if you want to keep the costs down. You might also find it helps if you move on a weekday, as hiring removal firms to help you is often much cheaper then than on a weekend. With the rental market stronger than ever before there has never been a better time for property owners and landlords to reap the benefits of this booming market. If you’re considering investing in a property to rent out then here are our simple tips to ensure you are investing wisely and profitably. If you are new to the world of buying-to-let then you are going to need to get your head around the market first. It’s all very easy to be attracted to the benefits of this kind of investment but we must also be equally aware of the risks. There is always the possibility that any buy-to-let investment will decrease in value as local markets fluctuate, stabilize and of course then sometimes dramatically drop. So you need to do a lot of research into the area you are considering to see how stable and developing the market it there. Property investment has paid off handsomely for many and it continues to be a powerful way to make a lot of money. However there are also some big loss stories too, so going into this kind of investment needs to be done with eyes wide open. Crunch the numbers and see what you can afford and the things that you will need to budget in and see how far your savings will stretch with this type of investment. Research and ask other people who have done the same thing so that you can go through the potential advantages and disadvantage associated with buy to let investments. From there you can really consider whether it is the right sort of investment strategy for you or whether you're saving would be better suited elsewhere. Seeking professional help is the best way you can make sure your investment is going to be a profitable one. Companies like Vystal Wealth will help coordinate all the important elements of your property purchase to make sure your investment is high yielding and that you will get a good return on your investment. Essentially, looking for expert advice will ensure you can be confident that you are putting your money in the right place and that you understand what the process requires of you and how best to go about your investment. Pricing, number of bedrooms and garden size aside, location remains top of the list when looking at investing in property. Your investment can have all the garden space in the world but if it’s not in an area that anyone wants to rent you are not going to be able to rent it. So look thoroughly into the areas you are considering and figure out what they have to offer. If it is a family home, look into local schools. If you're looking for a modern flat for young professionals look into public transport links or popular locations for convenient commutes to inner cities. Put yourself into the shoes of your target tenant and think about what will be important to them and what they’ll be looking for. We all have lapses in judgement at one point or another where we make silly decisions that could be riskier than they seem. For instance, you might decide to buy a house when you’re a freelancer. Now, that might not seem like a risky decision at first. After all, you do seem to be making good money and right now, you have more than enough to handle those mortgage repayments. Okay, but the problem with this is that as a freelancer you can never be guaranteed work. This means that at some point you could be out of contracts and have no way to make those repayments. Interest rates can grow out of control and suddenly you’re in a difficult financial situation. So, buying property when your financial situation isn’t secure is a mistake that could cost you an absolute fortune. Here are a few others. Or is it? The maximum prison sentence for online piracy is ten years in some parts of the world and a hefty find that could be more than your house is worth. Bright sparks are thinking that this is for the real pirates that record the films or steal them, and sell them for a profit. While this is mainly true, every so often authorities like to make an example of a regular random pirater. This could be someone who has watched one film illegally online or perhaps downloaded a few songs. So be careful thinking you can get away with it because it’s not a real crime. You might just be one of the unlucky ones. Watch any hollywood film, any TV show and there is always a guy fighting for respect literally. It might be a fight in the honor of a girl or perhaps just to protect a battered ego. It’s usually portrayed as something of a heroic act but be careful. What the media never shows you is the after effects of an act like this. In short, unless the act was violently provoked, you’ll be looking at criminal charges. What is the average cost of a criminal defense attorney? Actually, it’s not that high and it depends on what law firm you use. The real financial cost will be the probable loss of employment after your boss discovers you have a criminal record. Great, but don’t start a business just yet because you need to be aware that 97 percent of businesses fail. Most start on the market at a loss and take years of hard work to reach profitability. During this time, the owner is paying for the company out of their own pocket and generating huge levels of debt. As such, having too much faith in an idea could definitely be a costly mistake. If you’re going to start a business you need a long term plan of how to make it a success. Who Wants To Be Rich? Finally, you must avoid the ironic yet dangerous promises online of getting rich quick. These are nothing but scams and usually involve paying a massive fee for nothing in return. If you think you can claim your money back in a legal battle, you’re wrong. These contracts are usually iron clad with pages of small print that tell you exactly what you’re buying. If you want to avoid losing thousands in cash, avoid them completely. Could Starting Your Own Business Be The Answer To Your Money Problems? Getting stuck in the drudgery of a 9-5 job that is going nowhere can drive your personal finances into a rut. You spend so much time balancing your income against your outgoings that you don’t have the chance to think outside the box and consider a fresh approach. Take some time out and have a cold, hard look at your financial situation. Are you ever going to save enough for that dream vacation that you promised yourself three years ago? If not, it’s time to make some changes. You don’t have to do anything drastic like quitting your job right away. Instead, explore a second source of income by starting up your own business. Take a note pad and jot down the skills, attributes and experience that you have. Then look at which of these could translate into a service or product that you could sell. Remember a product does not have to be a physical product. You could sell a digital product such as check-lists, recipes or even an eBook. Setting up a website costs very little. You can buy a domain name for few dollars and build your own site for free. You’ll pick up valuable skills along the way. Invest in a credit card scanner if you are selling locally. Your clients will thank you for it and it will make it easier to clinch that sale. It may be time to realize your assets which is business-speak for selling the stuff that you don’t need anymore! Start in the loft or in the basement. You may even find some antiques that will make you a fortune. You can hold your own yard sale or rent a Saturday pitch at a local market. If you want to sell on line, there are plenty of apps and sites like EBay that make selling easy. If you suspect that some of your possessions, such as jewellery, are valuable it is best not to rely on the honesty of the purchaser. Take them to an expert for a second opinion. The last thing you need is to be swindled out of money that is rightfully yours. If your monthly rental bill or your mortgage repayments are eating a very large hole in your pay cheque it may be time to get some help. Renting out a room in your home is a very lucrative way to get some extra cash. Remember that you need to be compatible with your new housemate so choose wisely. Get all the agreements drawn up legally and take some time to choose the right person. Also, check that you are not breaching the terms of your tenancy or mortgage agreement. If sharing seems like too big a step, you could think about down-sizing by moving to smaller home. Alternatively, you could move to a different neighbourhood where house prices are cheaper.